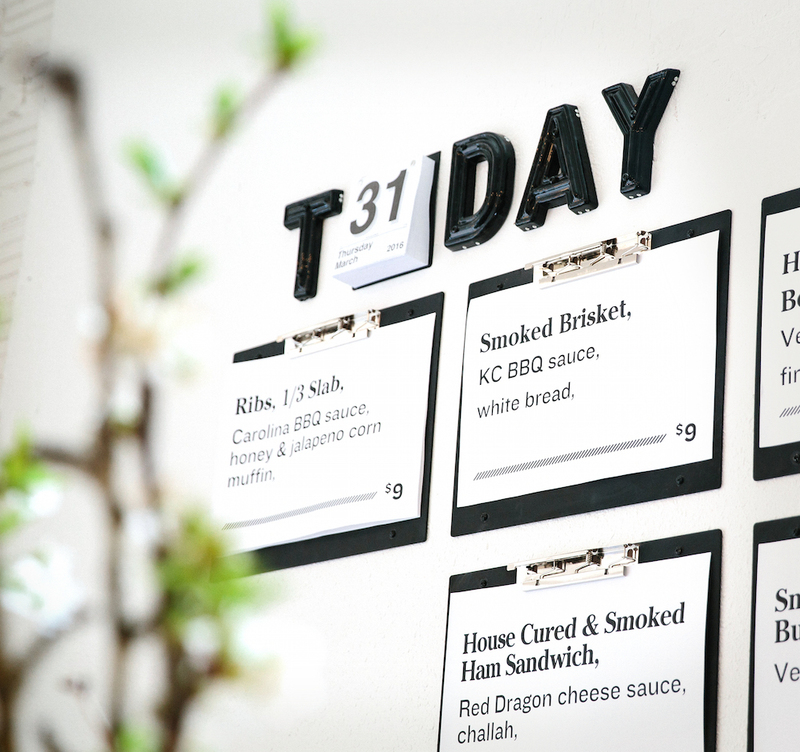 Tucked away in a small storefront behind the original Rooster is Shift, Test Kitchen & Take Out, the latest project from St. Louis restaurateur Dave Bailey. 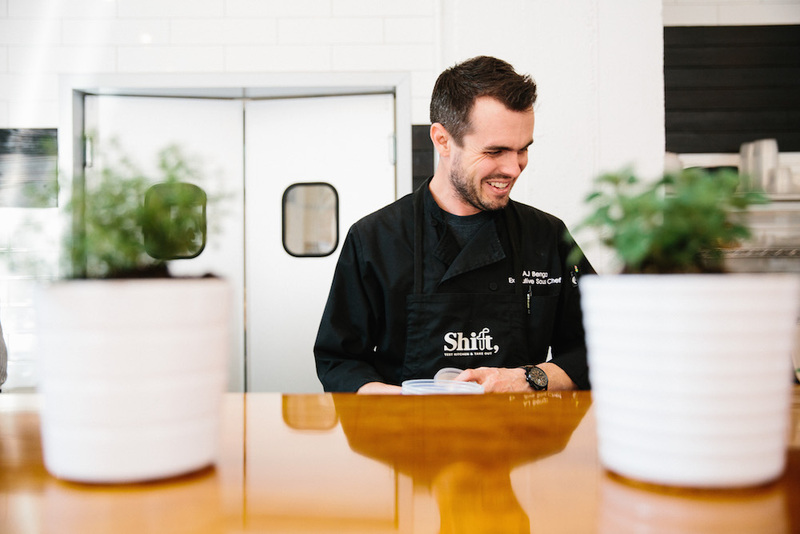 Opening on April 5, 2016, Shift’s to-go menu will “shift” from week to week, giving Chef AJ Benga and team the chance to experiment with new dishes for the entire Baileys’ Restaurants family. 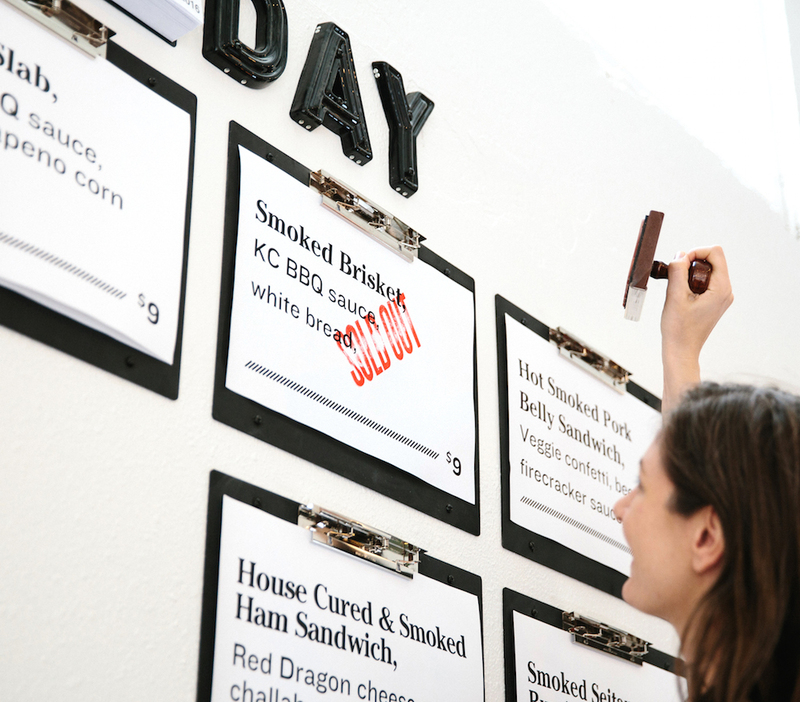 As the creative partner behind the identities for all Baileys’ Restaurants, including Range, Rooster, and Small Batch, TOKY jumped in to tackle naming, identity, signage, and packaging for this new sister restaurant. 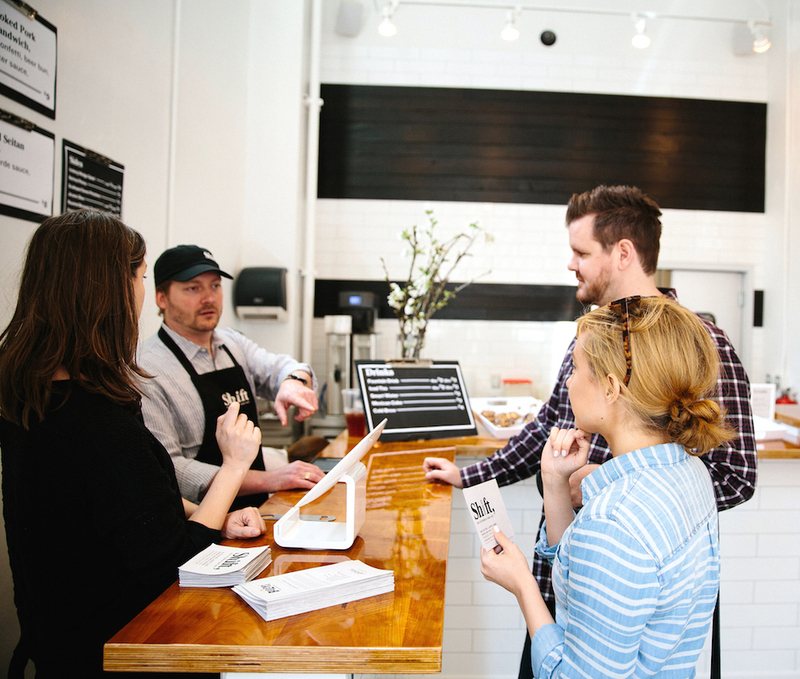 Stay tuned for a full case study, but for now, here’s a sneak peek inside Shift. 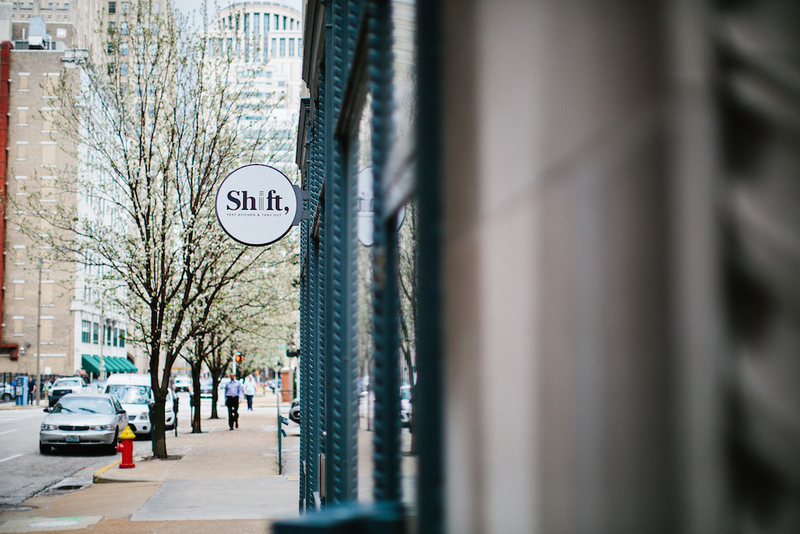 Shift is located downtown at 313 N. 11th Street, and the full site will be launching soon at shifttestkitchen.com (or shift.kitchen). Congrats to Dave and Kara on the opening!